Two nonprofit organizations on Friday filed a lawsuit against Monsanto for misleading the public by labeling its popular weedkiller Roundup as “target[ing] an enzyme found in plants but not in people or pets.” This lawsuit charges that this statement is false, deceptive, and misleading, because the enzyme targeted by glyphosate, the active ingredient in Roundup, is, in fact, found in people and pets. Beyond Pesticides and Organic Consumers Association (OCA), through their attorneys, Richman Law Group, filed jointly on behalf of the general public in Washington D.C. under the District of Columbia’s Consumer Protection Procedures Act. “The unequivocal nature of Monsanto’s label claim on Roundup belies the complexity of human biology and the impact this highly toxic chemical has on the functioning of the human gut bacteria, essential our health,” said Jay Feldman, executive director of Beyond Pesticides. “With this claim, Monsanto is falsely telling the public that its product cannot hurt them,” he said. 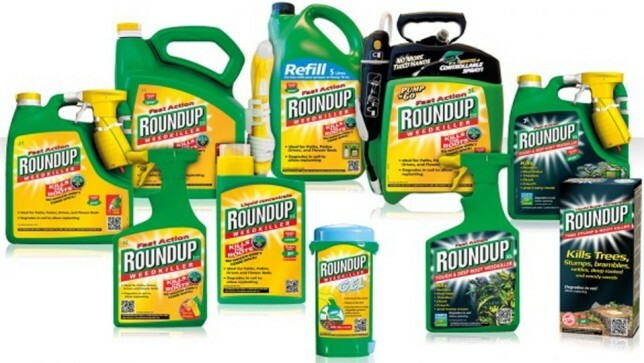 Monsanto aggressively markets Roundup as safe for humans and animals, despite newer studies indicating that glyphosate may be carcinogenic and affect human and animal cardiovascular, endocrine, nervous, and reproductive systems. No reasonable consumer seeing these representations would expect that Roundup targets a bacterial enzyme that is found in humans and animals and that affects the health of their immune system. Plaintiffs claim that Monsanto benefited monetarily from this false advertising campaign, as the company knew and intended that consumers would pay more for weed killer products claiming not to target people or pets, furthering Monsanto’s private interest of increasing sales of Roundup and decreasing the sales of competing weed killer products that are truthfully marketed. Accordingly, Plaintiffs seek equitable relief on behalf of the general public, with all profits earned by Monsanto for sales of Roundup in D.C. to be deposited into a charitable fund for the raising of consumer awareness of the effects of glyphosate.